Darth Ruin and other Warriors of the Sith. Born on Damage 20 years ago. Darth Ruin born as Houldek Macara brother to King Jester Houldan Macara... the Macara Family had always been an influencial family in the Demagan political scene and as the economy of the planet began to decline and civil war broke out. the family stood as a beacon of hope for the future of a proud and majestic race born as a hybrid of demon and vampyre ancestry. however he withheld viewing himself as a great patriot of the Demagan Empire... after 10 years a now supreme general of demaga Thoulda met a young woman named Kallia Koulda... they fell in love and had their first child.. after a majestic marriage ceremony which hosted over a million demagans citizens eager to see the two most influential families in the proud young nation become intertwined.... the couple and their young son Houldan began to gather a loyal fanbase as Thoulda grew in power ans influence as he secured a seat in the supreme council on demaga. within two months of these accusations an alien race invaded a seemingly defensless nation... many hundreds of thousands of demagans perished in a war they had no hope of wining. then in a time of great desperation Thoulda managed to sned an emergency call to the allie he had gained in a intersystem war..... the Mandolrians came and aided demaga in her defense against a mutual enemy.. finaly after a long war of attrition only a hundred thousand demagans remained and the planet was baldley damaged but the murderous Deskuls were beaten back into the unknown regions of the galaxy..
to this day where ever Ruin travels and however much he tries to repress it all force and emotion sensitive beings can feel the unadulterated hatred and pain that has consumed a potentialy great young man... at the age of 20 he has seen, caused, and been in more pain and suffering than many could have in a hundred lifetimes. the only thing that keeps him going and driven is knowing one day he will meet Darth Gregis face to face and when he does.... he will have his bittersweet revenge even if it destroys him in the process. Collection of various heartless and nobodies. been faithful to the order. Do another mission for the Dark lord of the sith, and his Apprentice. From the day he was born his father Supreme General Darth Killjoy taught him of the bounty hunter ways. As Maleki Maofor grew up he saw he father change, his strength got stronger, his shooting got greater than before, and he also notice a sword like object. One day his father sat him down at home and explained to him that one day he will become a Sith like his father. Darth Killjoy trained young Maleki from the time he was thirteen years old. When Maleki was sixteen his father was killed by a greedy man who wanted to take over his father's Union caled the Bounty Hunter's Union. Maleki grew with rage. Darth Ravenous was born as Zacheria Arturis Clark in Creedo,The Democratic Republic of Creedus in 2017 A.D. His father was famous Creedan General Micheal Artur Clark who helped to make Creedus the greatest nation on the planet of Arcis.Nothing eventful happened in his life until his 20th birthday when a Zombie Virus(the Homminus Canibae Infection)broke out in his hometown of Creedo.Him and his closest friends and family members teamed up to fight off the hordes of the Undead.Unfortunately nothing seemed to work on these Zombies,they were intelligent,fast,strong,and impervious to all attacks that came their way(including bullets to the head).Zacheria studied the Zombies furiously and soon developed a special kind of bullet which would get rid of the Zombies for good(Classified Information).Zacheria and his friends had one flaw however,they became bored very easily.They played games such Darts(with the zombies heads being the targets)or Chicken(to see who could stand in the middle of an oncoming horde for the longest).Chicken was Zacheria's favorite and it soon became his downfall.During a game,one of his friends started to get bold and stayed in the horde with him until they were only a foot away from the horde.Zacheria,being the undefeated champion of Chicken,stood in the middle even after his friend had made his exit.The horde was too powerful to fight off and he soon joined the ranks of the Arcan Zombies.After all of Arcis had been infected,the Zombies formed an alliance between all of the former Republics and formed the Galactic Empire of Zombie Nations after the conquest of Ragnarok,Saevio,and Contemptus.Zacheria had written and signed the new Constitution and was soon elected to be Emperor.The Empire soon made many alliances(including one with Darth Ruin of the Galactic Empire of Demaga).With Ruin and other allies he helped to conquer the Deskuls' home planet,a species which had once plagued the Demagan populace,in 2 B.V. Unfortunately for the Jedi,Zacheria couldn't fight off his destiny of joining the Dark Side of the Force.Initially trained by Ruin in the basic art of lightsaber combat,Zacheria(going by the name of Darth Andeddu) soon was taken as an apprentice by Darth Malice the Sith Lord of Hatred.Currently he is the Dark Emperor of the Empire of Zombie Nations,Lieutenant General of Bounty Hunter's Union Marine Corps,and Sith Lord of the undead. Semos Mareel or Darth Revan was born to a family of farmers on the world of Concord Dawn, a planet long associated with the heavily-armored super-soldiers known as the Mandalorians. Semos's dad served as Journeyman Protector, since Semos father took on the role of Journeyman Protector the mandalorians that controled the land said Revan's father had to protect the village from gangsters,robbers and Mandalorian Death Watch Warriors. Well one day Mandalorian Death Watch attacked the village and Revan's dad died by Death Warriors while they were robbing a market store and he tried to protect it. Then Revan's older brother Jaster Mareel took over the the village and became the next Journeyman Protector of the village and then thats when he met Jango Fett and they grew up together teaching Revan alot about becoming a Journeyman Protector but then the Mandalorians came back and took over the planet once again under the rule of Mandalore The Indomitable and Mandalore The Indomitable took Revan or by his real name Semos Mareel, his brother Jaster Mareel and Jango Fett. Semos was a young boy when the war began between the True Mandalorians, led by Jaster Mereel, and a traitor named Vizsla who lead the Mandalorian Death Watch in the civil war between the two clans on to Semos's homeworld in the on Concord Dawn. In the Battle of Concord Dawn against the rebel Death Watch pursued the True Mandalorian loyalists to the Mareel homestead, where Revan and Jaster and his followers were granted refuge by the Fett family. Then Jaster died in the Battle of Concord Dawn when he was betrayed by the True Mandalorians then the clan of the True Mandalorians fell apart. Later the Clone Wars came and then Semos Mareel or also known as Revan joined the Jedi Order through his connections with Jedi Master Mace Windu and Grand Master Yoda. Revan then became Jenobi Atari, jedi apprentice of Mace Windu and then became Jedi Knight then at the end of the Clone Wars Revan was now Jedi Master Jenobi Atari High General of the 182nd Clone Legion. Then the fall of the jedi came and Order 66 came and Jenobi Atari or Revan fled back to Concord Dawn where he reformed the Mandalorian Clan True Mandalorians. 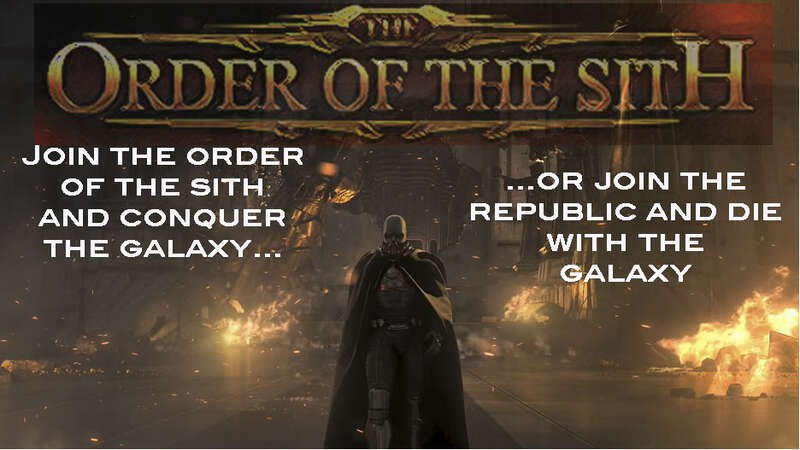 While all this time went by the Sith Order started to take over the galaxy. Then the Mandalorian Death Watch Clan came back for vengence under the rule of Vizsla's son Tion and the True Mandalorians elected Semos Mareel or Revan as Mandalore The Notorious and he lead the True Mandalorians against the Death Watch and lead them to victory and took over the Death Watch and put the two Mandalorian Clans together then Revan in his lust for power started havng the force flow through him when he was flurishing as Mandalore he met the Sith face to face Mandalore The Notorious vs Darth Ruin Sith Lord Of Darkness confronted him for the sith and even before they could duel Revan relized that he was on the wrong side and by joining the Sith Order his lust for power could grow, which it did and then Revan came to his senses and became Darth Ruin's Sith Apprentice.Then became Darth Revan and his power started growing and then he became a Sith Acolyte for the Sith Order while still training under Darth Ruin, later Darth Revan grew much stronger and still having much too learn Darth Revan was closely becoming a Sith Lord.The time of war was coming the Mandalorian Clans were breaking apart, many alliance apposed the Sith Order and in the time of war...a more powerful sith is needed thats when Darth Revan's training became stronger and have more knowledge with the dark side of the force. Now became Darth Revan became a Sith Lord. 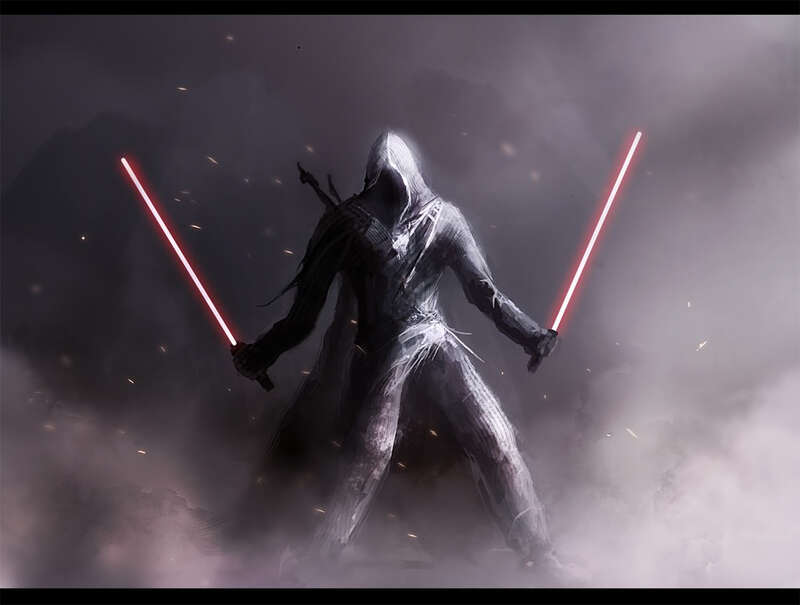 Now in power Darth Revan was now Darth Revan Sith Lord Of Judgment was born and born into power.